Slumber Party Hostel i Krabi, Thailand: Bestill nå! 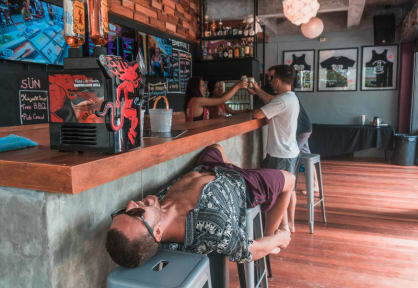 Well, if you are looking for a party hostel in the Krabi, Ao Nang region this is the place. Should maybe change its staff more frequently. It seemed like a pretty rough lifestyle and think a few of them had stayed a bit too long.